Students seeking recreational opportunities on the east side of campus will soon have two new options when Aztec Student Union opens. While construction will be completed in December, here’s a sneak peek at the two new facilities: Aztec Lanes and ARC Express. Both facilities are managed by Aztec Recreation, a service of Associated Students of SDSU. An office in Aztec Lanes offers a window for supervisors. Aztec Lanes replaces the former Aztec Center Bowling and Games. The bowling and games center on the first floor of the Union will offer 12 lanes of bowling thanks to Brunswick, a world leader in building and modernizing bowling centers. Aztec Lanes will also offer large-screen TVs that can display Aztec sporting events while guests enjoy a game or two. 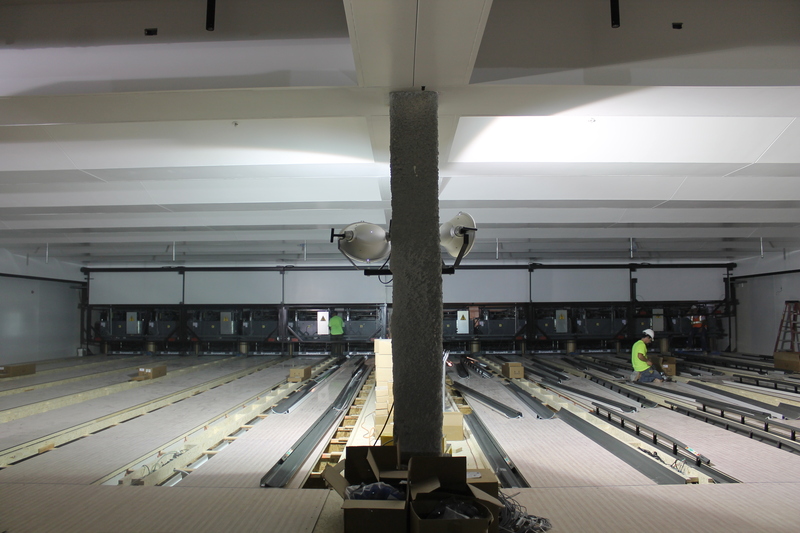 Workers install gutter systems in Aztec Lanes. Aztec Lanes will also offer a gaming center with table and console gaming. Students and other visitors will be able to enjoy billiards tables and table tennis, or play a video game on one of two 80-inch TVs. The table games area will feature table and console games. 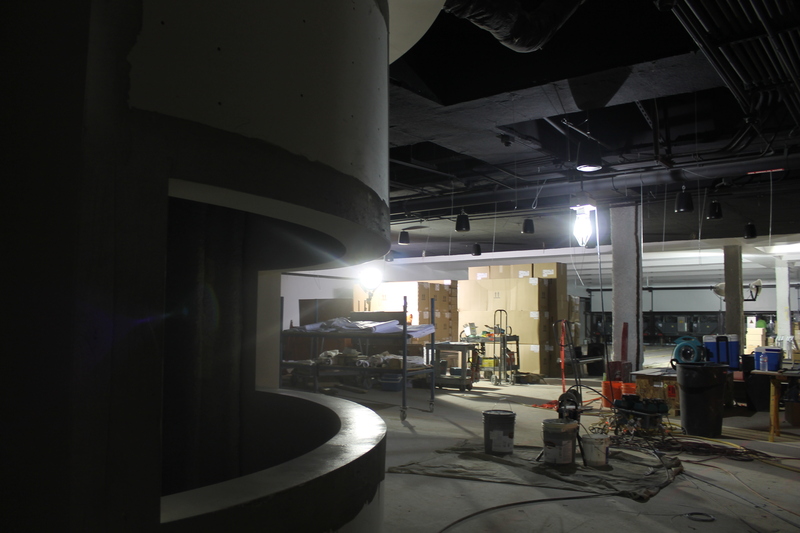 The third floor of the Union features more recreation in the ARC Express, a satellite fitness center. The ARC Express will have several cardio and weight machines in the 5,800-square-foot facility. 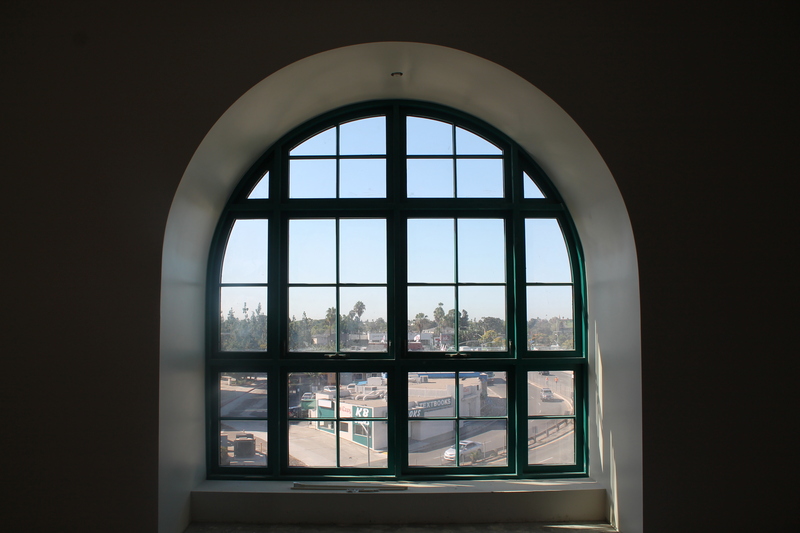 A large arched window faces College Avenue south. 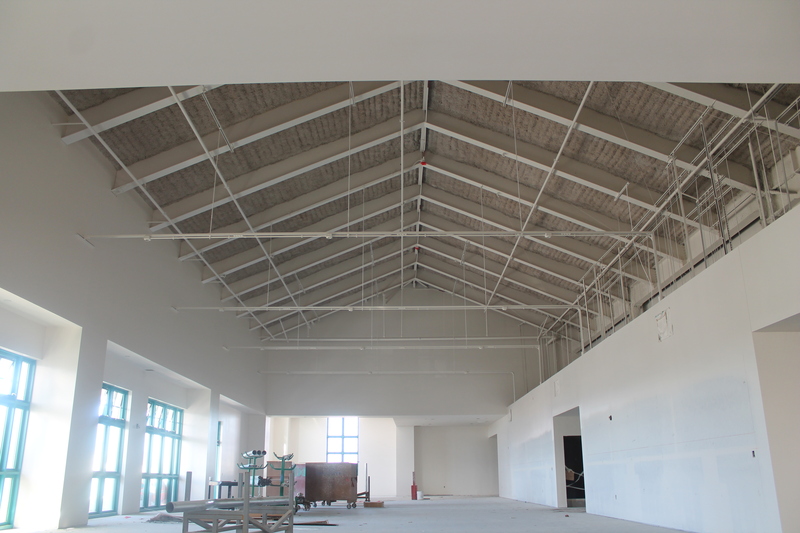 The ARC Express features high, industrial ceilings. With high, industrial ceilings and several windows facing College Avenue south, ARC members will have another beautiful place to exercise. ARC Express will also have five 52-inch TVs to entertain members while they get fit. 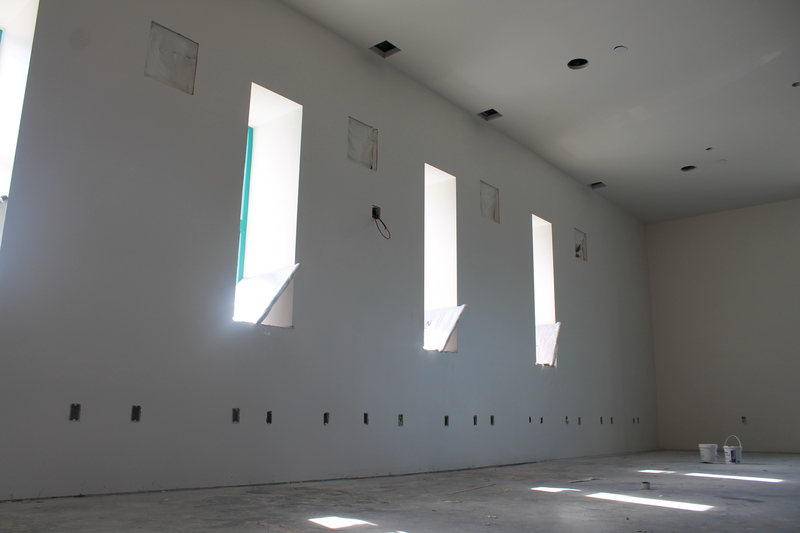 Large-screen TVs will be placed between each vertical window on the east-facing wall. Want to know the latest news about Aztec Student Union? Be sure to “like” it on Facebook, follow it on Twitter or visit the Aztec Student Union website. 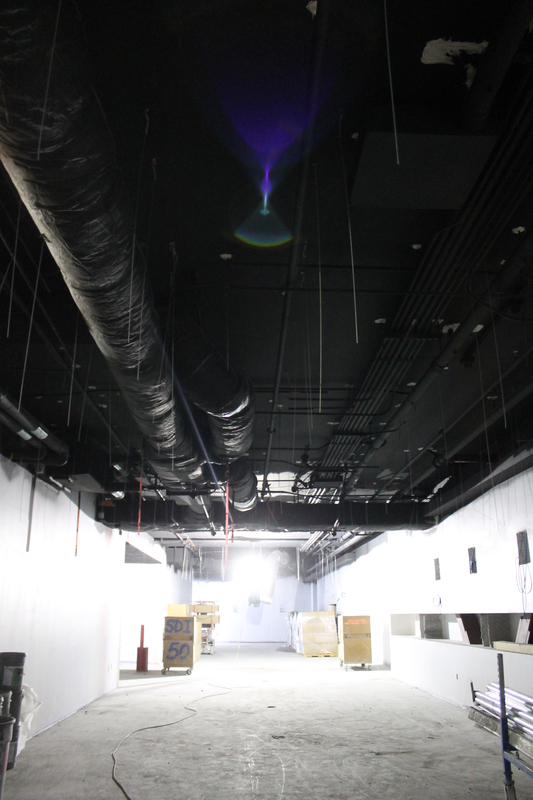 This entry was posted in Construction, Spaces, Tenant News and tagged ARC Express, Aztec Lanes, recreation. Bookmark the permalink.